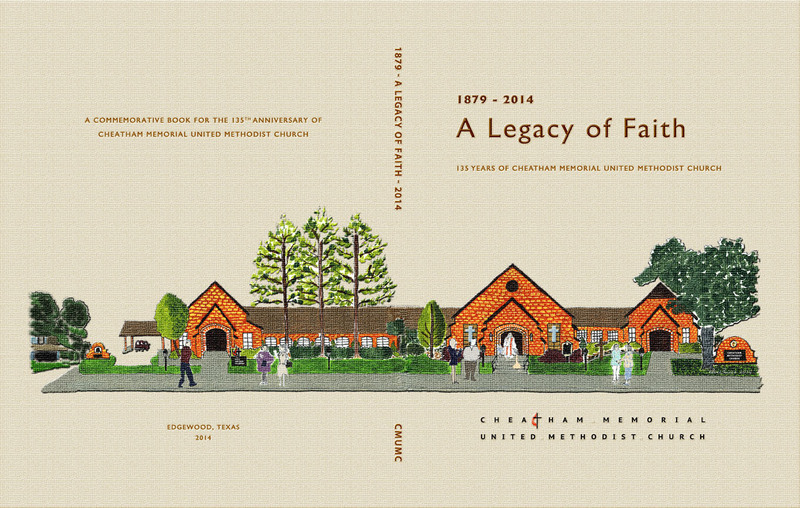 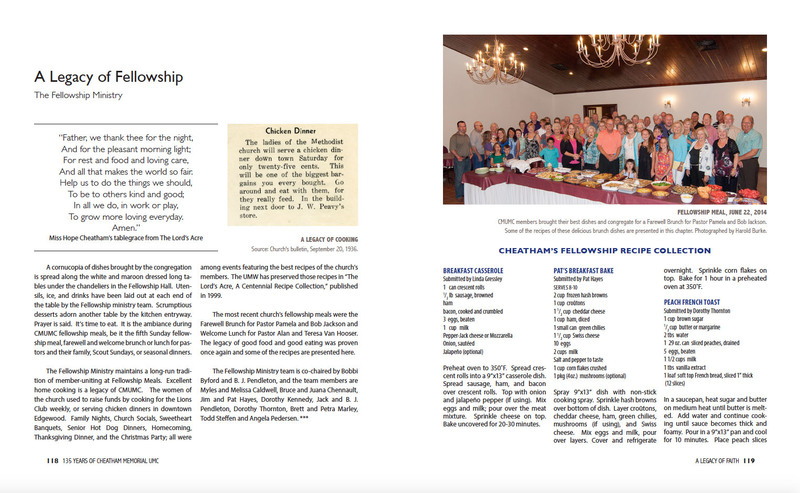 A Legacy of Faith is a commemorative book for the 135th Anniversary of Cheatham Memorial United Methodist Church, Edgewood, Texas, published in October 2014. 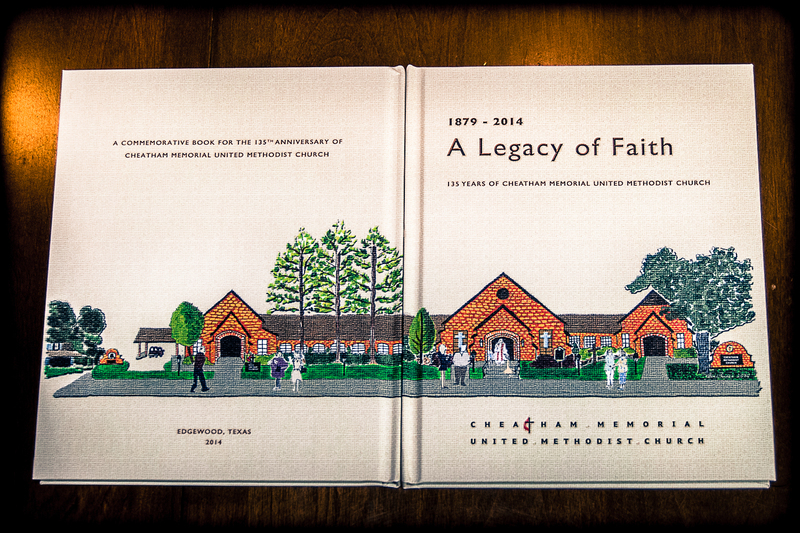 My self had the honors of producing the book, from researching, co-writing, and designing this 8.3”x10.2”, 130-page, hardcover book. 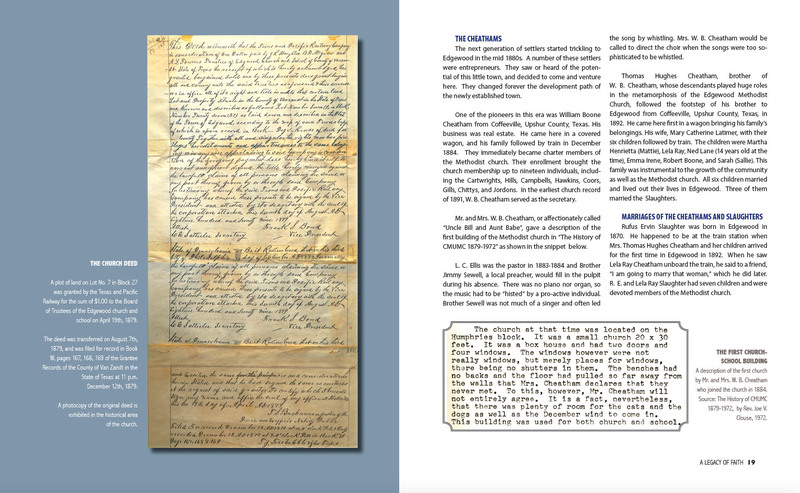 A clean, easy to read approach was applied. 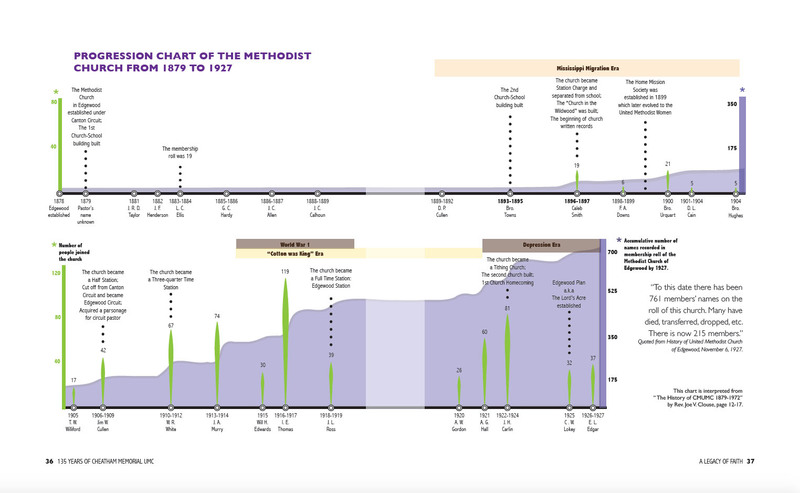 The history of the church is traced through 200 images including historical and new photographs, timelines, illustrations, works of art, building plans, and artifacts. 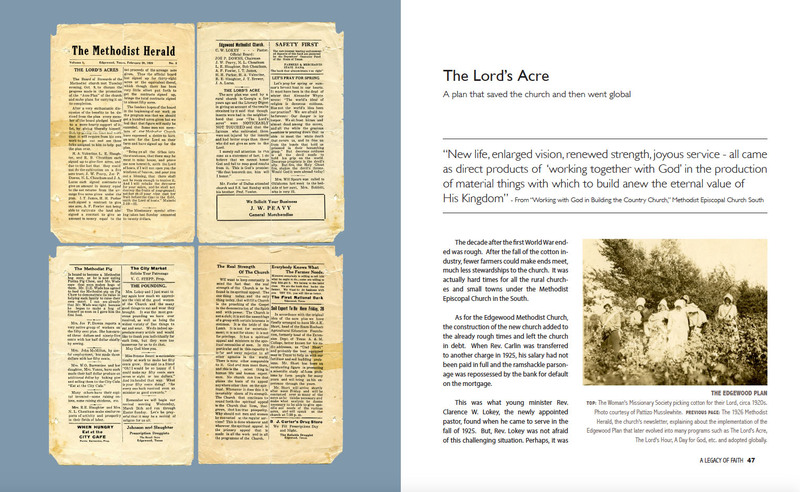 The written and pictorial works were contributed by many church members whose names are chronicled throughout the book. 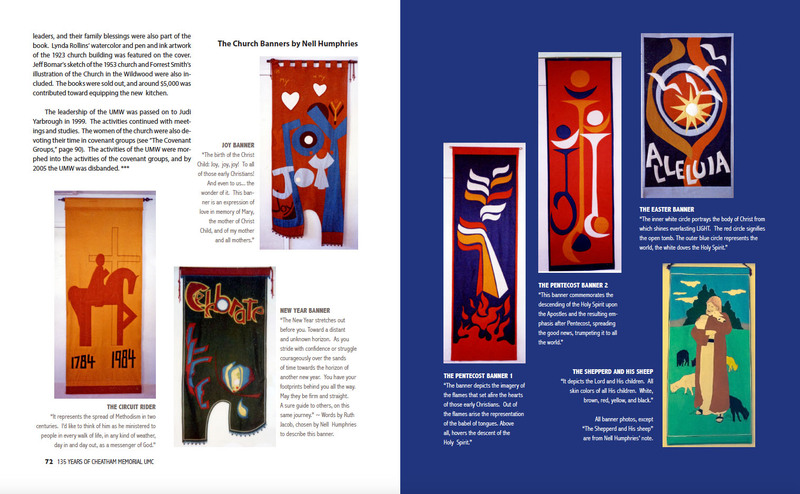 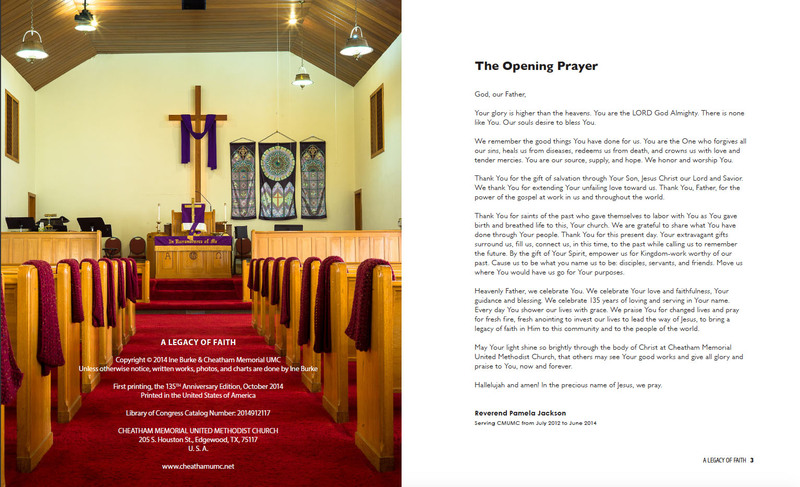 Photographs used for the Content and Opening Prayer pages were among my photography works of the current state of the church that are included in the book. 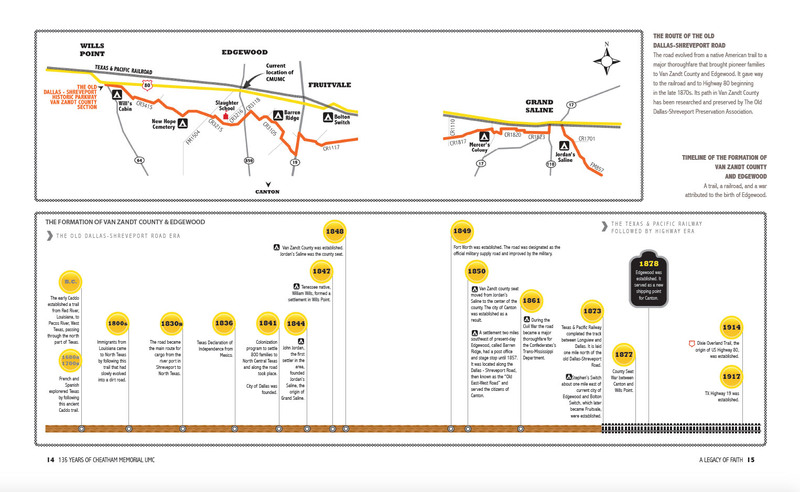 I also did timeline charts and the cover. 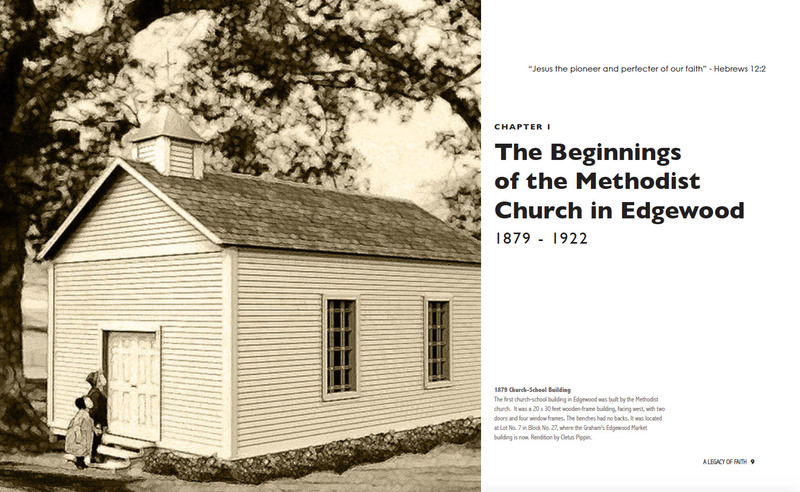 Founded in 1879, the Methodist church is the first church established in the town of Edgewood, Texas. 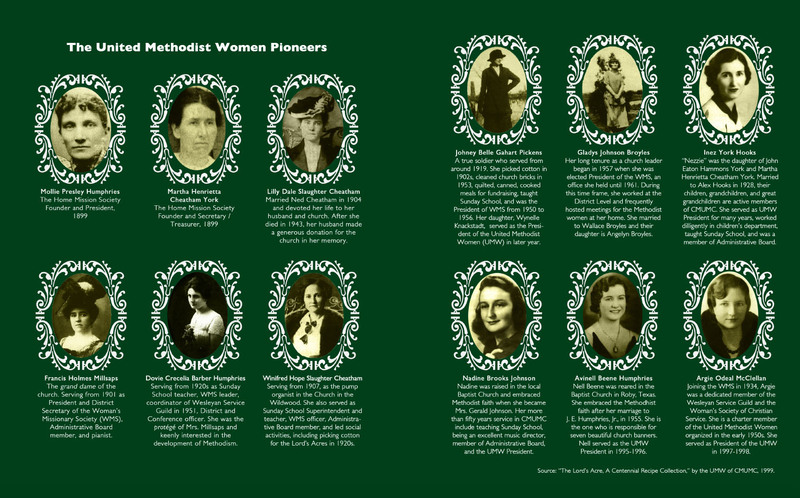 The forefathers and mothers of the church were the pioneers of Van Zandt County. 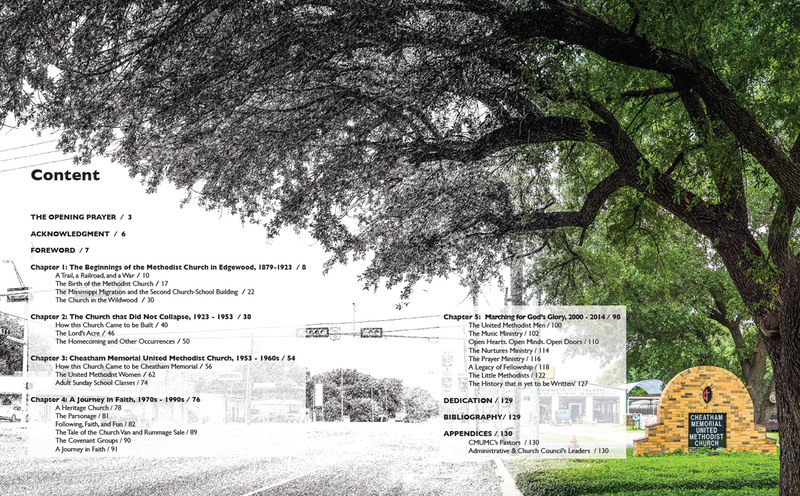 The beginning of the church history is preceded with an essay, strengthened by timeline charts, of how Van Zandt county and Edgewood was formed. 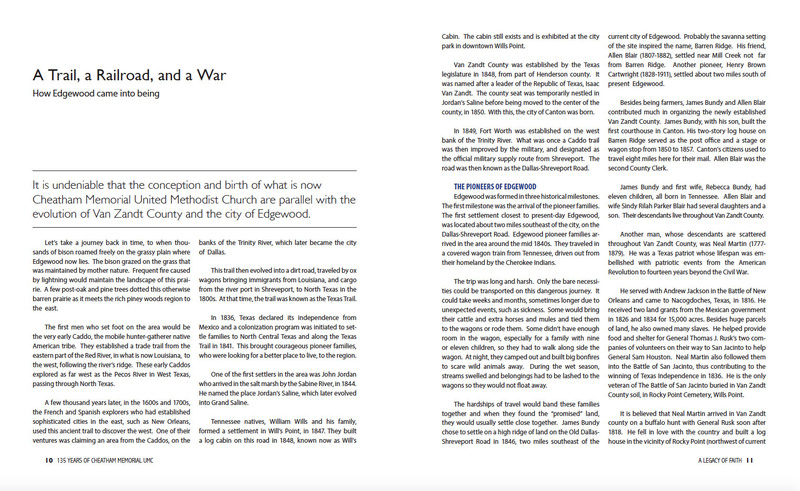 Inspired by the first church’s history book published in 1972 by Rev. 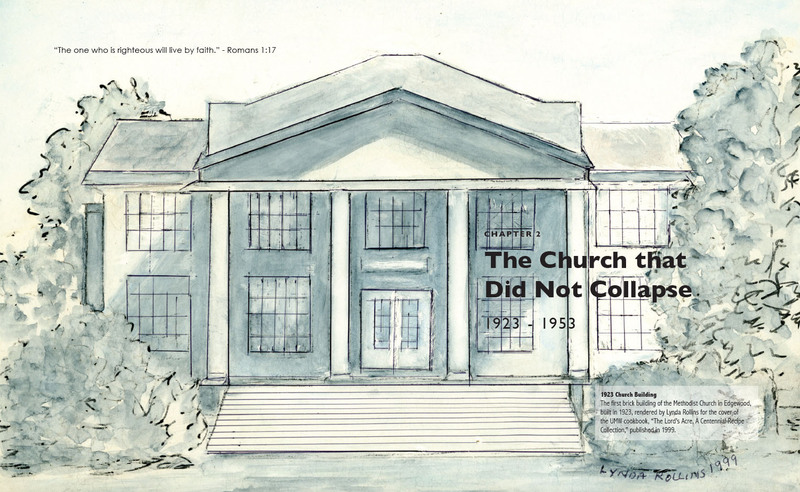 Joe V. Clouse, this book follows the evolution of the church in the context of historical, civic, and cultural change that direct its fellowship, services, and ministries to the current state. 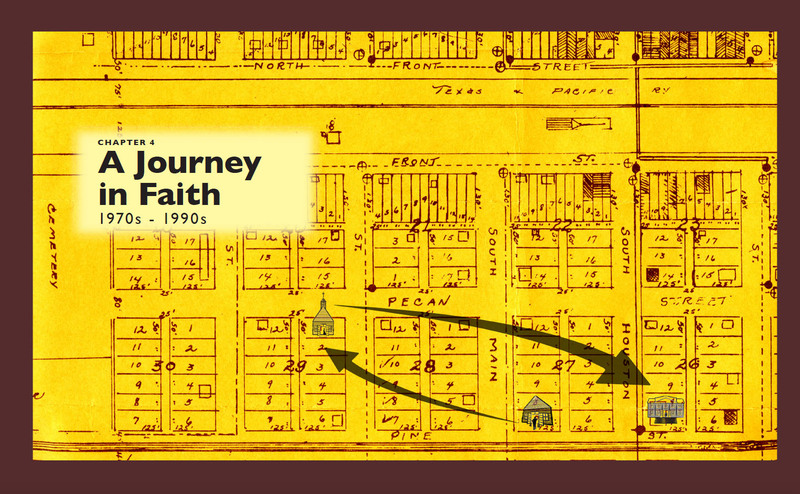 Its struggles and development keep evolving, from the era of the Old Dallas-Shreveport Road, through the World Wars and great depression time, to the current issues. 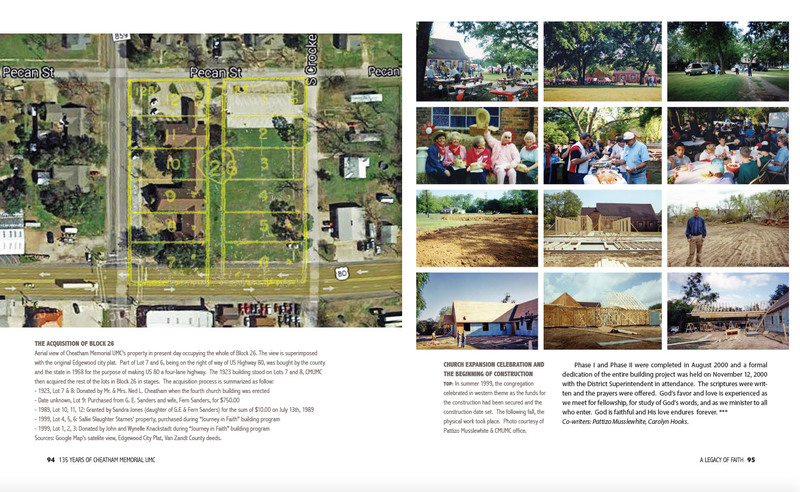 Several local publications listed in the bibliography include “Building a County” by Elvis Allen, “The Edgewood Story” by Authula M. McLemore & Eloise Pettigrew Ellis, and “Van Zandt County Texas Pictorial History 1848-1994 Volume III” by the Van Zandt County Texas Historical Commission. 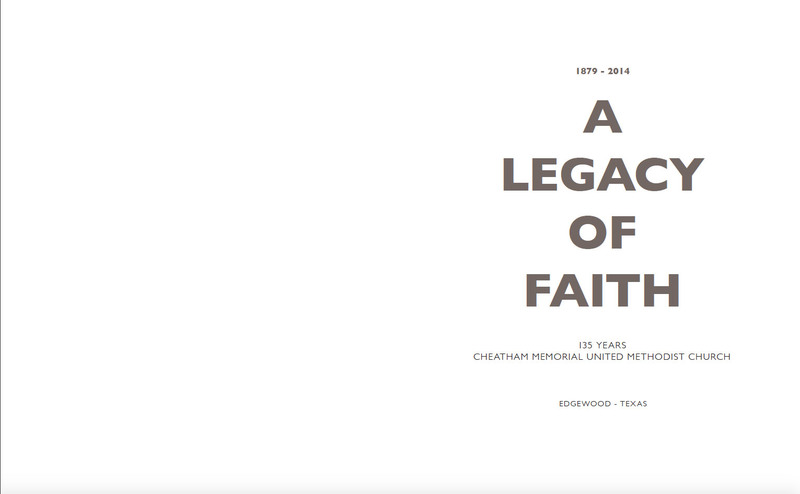 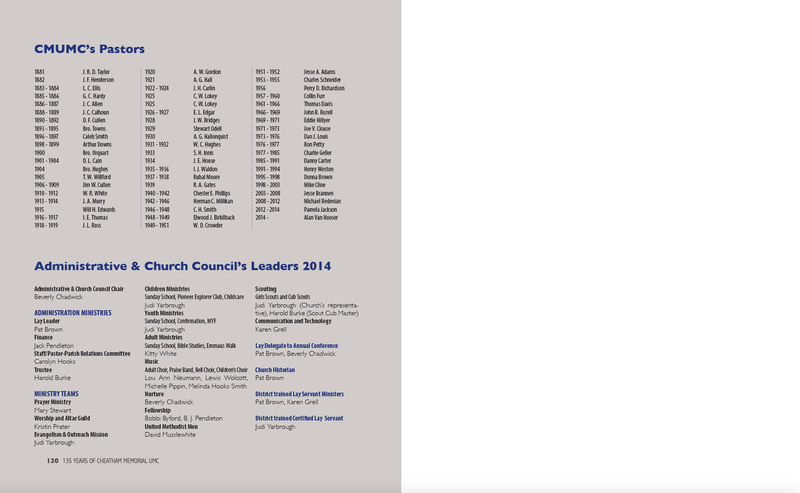 © 2014 Ine Burke & Cheatham Memorial United Methodist Church, Edgewood, Tx.